The RuPay Pro Volleyball League 2019 came to its conclusion with Chennai Spartans emerging champions of the inaugural edition, defeating Calicut Heroes at the Jawaharlal Nehru Indoor Stadium in Chennai. There were many players who played a key role in their respective team's success through the course of the league and knockouts. The overseas players were in fine touch for their teams with Canadian Rudy Verhoeff finishing as the top scoring spiker and David Lee emerging as the best blocker through the competition. However, there were a lot of Indian players who displayed their best form as well, making an impact on the court. 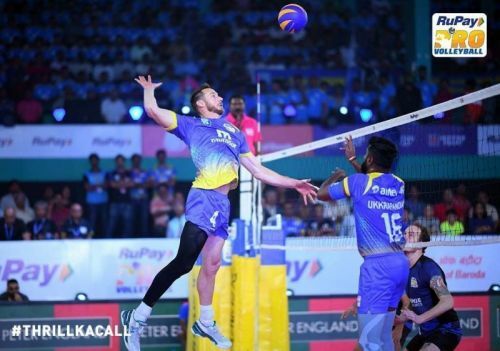 Chennai Spartans' Rudy Verhoeff was the Best Spiker of the RuPay Pro Volleyball League 2019, finishing with a tally of 88 spike points from seven matches. Rudy was key for the Chennai Spartans' run to the final, overcoming the challenge from the unbeaten Calicut Heroes in straight sets. Rudy was highly efficient from the outside hitting position on the right, scoring with angled spikes as well as along the lines, thereby proving to be constant trouble for his opponent blockers. 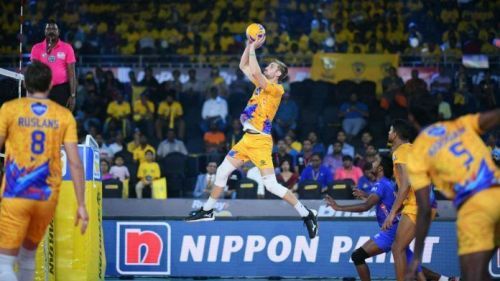 American volleyball sensation David Lee was perhaps the biggest name to have come aboard for the first season of the RuPay Pro Volleyball League. He was the middle blocker for the Kochi Blue Spikers and was crucial for their run to the semifinals. Lee finished with a league-high tally of 16 block points in 6 matches, using his staggering height and exquisite timing to great use. He even contributed with 40 spike points for the Blue Spikers, further establishing his importance in the squad.